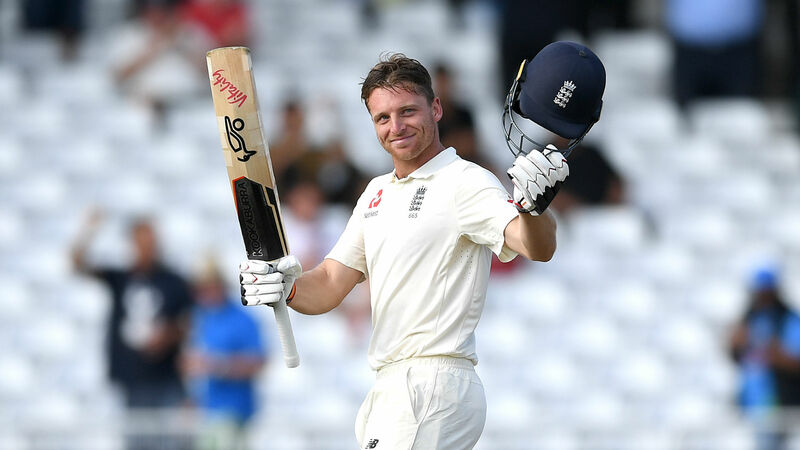 Jos Buttler is determined to build on his maiden first Test century after leading England's resistance on day four of the third Test against India. The Lancashire batsman only returned to the Test side for the series against Pakistan in May and, while his continued selection was questioned by some, he demonstrated he has both the talent and temperament for the longest format with a battling knock at Trent Bridge on Tuesday. Although England are set to suffer defeat - they need 210 runs with just one wicket remaining - Buttler's 169-run partnership with Ben Stokes at least carried the game into a fifth day. Buttler, who was eventually dismissed for 106 after India had taken the second new ball, accepted it felt surreal to reach three figures after being out of the Test picture earlier this year. "It's really satisfying. It's been a long time coming," he told a news conference. "A few months ago, it was a million miles away. "It's a huge moment for me. I don't think I can underestimate that feeling. "I'm a little bit lost for words but delighted. To prove you can do it is a huge part of the feeling - not just for yourself or anyone else but to show you can do it for your team. That's the biggest thing. "You feel like you've done something for the team and you, hopefully, belong. But now it's about backing it up and doing it again, because it's not easy." And Buttler was content his fifth-wicket stand with Stokes epitomised an England display full of grit, as they were determined not to gift victory to India. "It was very important for us to turn up and show a lot of character, a lot of fight and not give it to India easily, make them work hard," he said. "We did that really well throughout the day, even the two guys [Rashid and James Anderson] there at the end, making sure that we do come back tomorrow [Wednesday]. "We showed that, no matter what, we're not going to roll over."